Renault book Vatican two 100% electric vehicles specially realized for the mobility needs of the Pope. The vehicles were handed over on Wednesday September 5th His Holiness Benedict XVI by Carlos Ghosn, CEO of Renault, during a visit to the Pontifical Villa Castel Gandolfo. The first vehicle, planned for the displacements of the Pope in his summer residence, is white and decorated with the papal coat of arms on the doors. 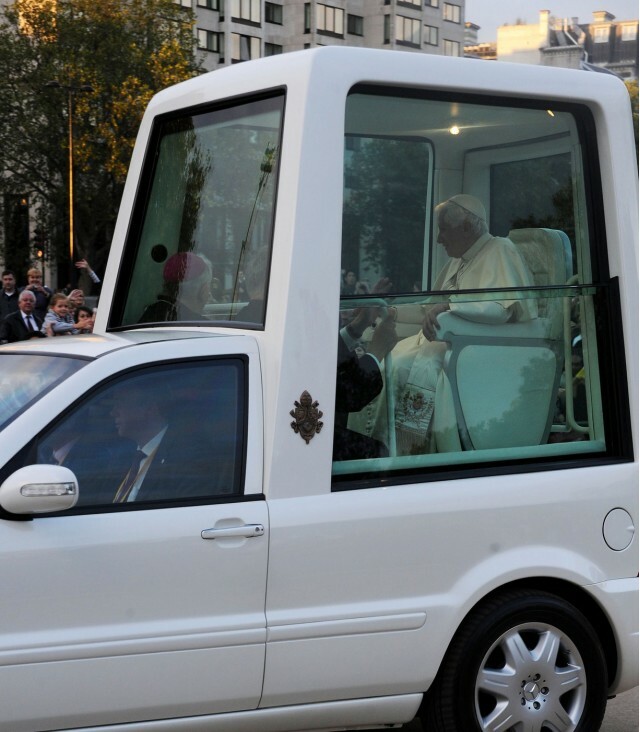 It is an ecological and sustainable version of the "Popemobile". The model, realized on the basis of Kangoo Maxi ZE, is 4.6 m long and 1.8 m wide. It is equipped with an electric motor 44 kW (60 hp) and a lithium-ion battery, it offers an average battery life of 170 km (NEDC combined cycle in). The second model, very close in design to the first, is blue with white and yellow stripe on the side. It is meant Gendarmerie Vatican for the Pope's security services. Both cars were transformed in cooperation with the manufacturer, french coachbuilder Gruau. These adapted and exclusive versions have 4 seats, 2 individual seats arrears and especially comfortable. They also include specific solutions as a sunroof, removable rear lateral windows, doors and hinged rear lateral electric retractable steps for easy access on board. Renault and puts his experience as a carmaker - leader in the field of electric vehicles - at the service of sustainable development guidelines from the Vatican and Pope Benedict XVI. The Pope, who often testifies of special attention for subjects dealing with the environment, has repeatedly stressed the need for sustainable development to continue saving the Creation. "Through this gift to His Holiness, Renault renews its strong and perennial commitment to sustainable and respectful of our environment development," stated Mr. Carlos Ghosn, President Director General of the Renault Group.